Virgin Money South Africa was launched in 2006 as part of the well-known International “Virgin Group” which is headed by Richard Branson. Virgin Money Insurance is a part of this, offering short-term insurance products and services. Virgin Money Insurance promises to offer good value with a positive impact on the world around them, while delivering a fair product that will ensure customer satisfaction. Virgin Money Insurance offers car insurance, home contents and buildings insurance, and Life and Funeral Insurance. In terms of car insurance, products offered include Comprehensive car insurance, Third party, fire, and theft car insurance, Third party only insurance and comprehensive off-road vehicle insurance. Comprehensive Car Insurance from Virgin Money Insurance covers your car against theft and damage. It also covers you for damage to another person’s car or property. 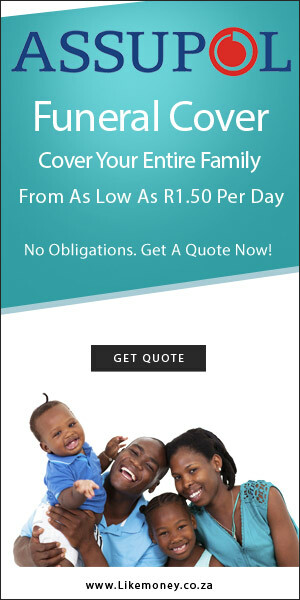 This cover includes a number of great benefits such as no basic motor excess payment when the damage to your car is over R5000; fixed premiums for 12 months even if you claim, and a contribution towards the medical costs of each person injured in your car, if it is involved in an accident. Virgin Money’s Third Party, Fire & Theft Car Insurance covers you against the theft of your car but not for accident-related damages to it. You are, however, covered against damage to another person’s car or property. Benefits included with this option include cover if your car is damaged as a direct result of fire, explosion, lightening or attempted theft; and no basic motor excess payment when the damage to your car is over R5000. You also receive fixed premiums for 12 months even if you claim, and Virgin Money Insurance will cover the cost of storing the car or towing it to the closest repairer - provided that you use their approved towline. Third Party Only Car Insurance covers you for damage to another person’s car or property. It does not cover your own car against any theft or damages to it. Virgin Money also offers comprehensive off-road vehicle insurance which is designed for nature lovers whose vehicles are used on the rougher roads. The coverage includes damages or loss to the vehicle; payment no higher than the retail value; spare wheel; medical expenses if something happens to you while driving your off-road vehicle; Tracking device installation if required; and certain accessories. Virgin Money Insurance is an extremely reliable insurance option with good reviews. Hi would you please phone me on 072435xxxx, I want you to quote me for my car. Hi would you please call me regarding quote for my car. I keep writing to your POLICY SERVICES regarding my policy 250012653 to update my drivers licenses. Nobody responds. my emails to virginmoneyins.co.za comes back undelivered. What is going on? Can you please contact me about car insurance that you have increased without my concern as soon as possible. If I dnt here from you in the next two working days I will cancell the insurance with you. 0741995828. I need a quote for a Honda ballade 1.5 elegance 2015. Please contact me I need a quote for my vehicle. I had Virgin Insurance before, then my hubby got Outsurance and decided to combine all our stuff with one insurer and he moved our stuff to Outsurance,,, BIGGEST MISTAKE EVER. Please let me know if you’ll be able to insure us. We are married out of community, I had insurance claims before ( Was robbed and in accidents) years ago , My husband never had insurance claims before. We would like to insure 2 Vehicles and house content. Please contact me with regards to car insurance quote. Kindly contact me regarding car insurance. I am shocked at the poor level of service from Virgin insurance. When I first took the insurance, they sent my confidential information to my ex wife, and I had to ask her for information such as policy numbers, as the consultant clearly did not know how to use a computer. Three months down the line, I am still waiting for a policy document. Now when I call them the phones are not answered, even their emergency line goes unanswered. I am grateful all this happened before I ever needed to claim, I will be switching to another insurance company as soon as possible. Please call me on 082057xxxx for a car insurance quote.